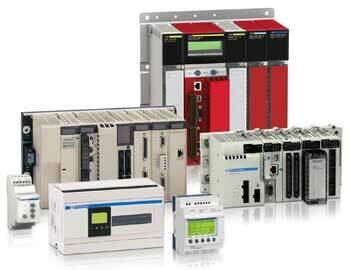 Programmable logic controllers (PLCs) are industrial control systems that provide continuous monitoring and control of input devices. They use collected information, combined with the user's customized program, to make computer-based decisions for output control. PLCs are used to enhance production lines, machines, and processes and can be tuned for specific tolerances, self-correction, or gains. These controllers contain a central processing unit that operates the user's program internally, communicates with other devices or networks, and maintains operation. The main steps include the input or scanning on inputs, the execution of the program, the scanning of outputs, and communication of information. While each PLC performs much the same operation, they can differ in cost, power source, programming, input and output compatibility, memory, speed, and connectivity capability. While originally designed to eliminate the need for rewiring and adding hardware for new relay configurations, PLCs have made it possible to alter and replicate certain operations while simultaneously collecting and sending related data. Over time, they have also become more modular, making it possible to mix and match different input and output devices to best adapt PLCs to a variety of applications.